The American Copper butterflies are so colorful with their vibrant orange and black colors. I saw this American Copper at Fort Hill on the side of the trail. I almost missed it as when their wings are closed up they are a light grey with tiny black dots. It’s only when they open their wings that you can see the beautiful orange and black. 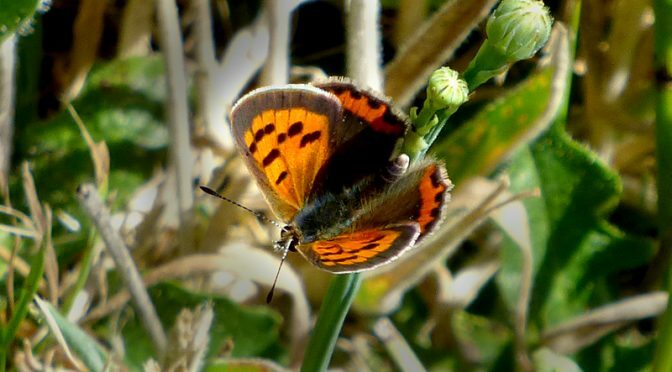 American Copper butterflies are small, only about 1″ with orange forewings and about 8 black dots and a black outer edge. Have you ever seen an American Copper butterfly?